Scottish-born scientist and inventor Alexander Graham Bell is best known as the inventor of the telephone. He is credited with creating and patenting the first practical telephone. Think about where we would be these days if it hadn’t been for the invention of the telephone. Everything we do these days is done through the use of telephones and smartphones. So, next time you pick up your iPhone and send a WhatsApp message, remember that it started with this guy! 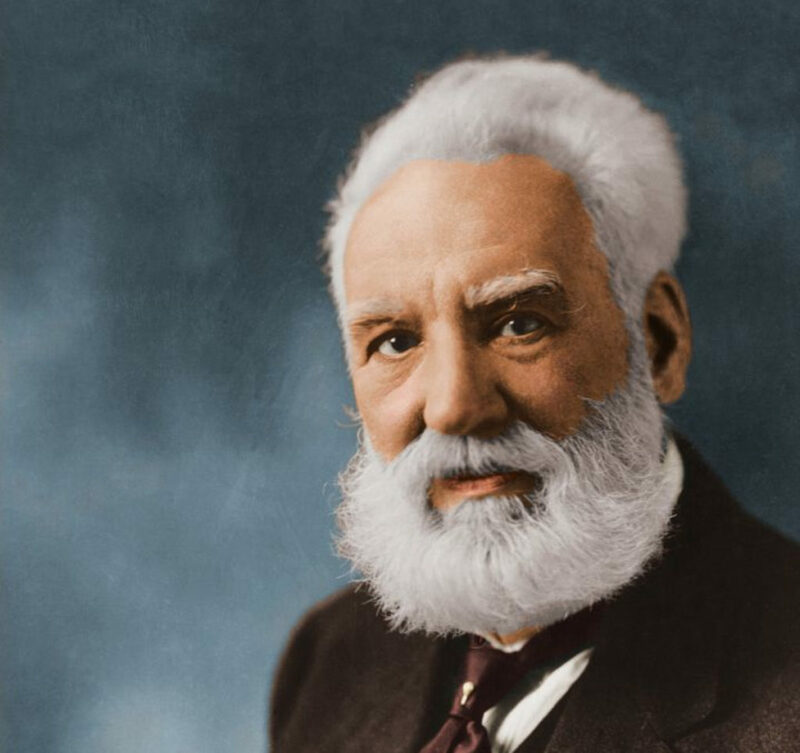 So, we’re going to look a little closer at the life of Alexander Graham Bell, and how he came to invent one of the greatest inventions the world has ever known. 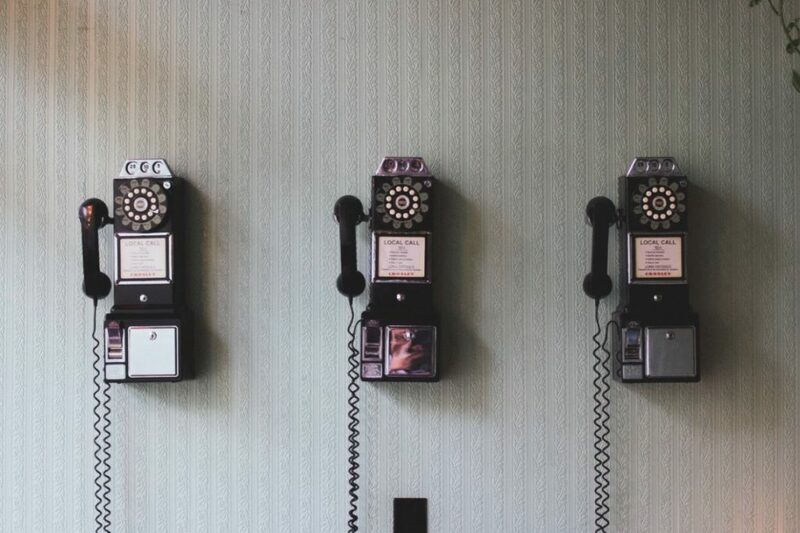 Bell wasn’t just known for the telephone, but we reckon is symbolizes his best work, and that’s why it’s important to make sure we understand how he came to create it, and the impact it has had on the world. Alexander Graham Bell was born in 1847, in Edinburgh, Scotland, and had two brothers who died at the age of 10. Bell had some profound early experiences that affected his life and adjusted the direction of his focus. Edinburgh was known as the Athens of the North and had a huge science, art, and culture scene. After spending most of his childhood being homeschooled, Bell spent two years in Edinburgh Royal High School and showed a great aptitude for problem-solving. Though his parents pushed him toward a career in the family business, Bell had other ideas. After clashing with his father, and seeking a different path for himself, Bell volunteered to care for his ailing grandfather while he pursued his purpose in life. It was at this time that his interest in intellectual pursuits and problem-solving were nurtured and blossomed. By the age of 16, he had joined his father working with the deaf but had a very clear idea of the direction his life would take. In 1870, following a brief move to the USA, Bell and his family moved to Ontario, Canada, where he continued to study voice and sound. And it was a year later that he would make one of his biggest breakthroughs. In 1871, Alexander moved back to America and started to work on a device that allowed telegraph transmissions. He found financial backing from investors and spent time trying to perfect the novel device. It was during this time that, by happenstance, he fell in love with another idea – transmitting the human voice over wires. Thomas Watson was hired to replace Bell on the telegram project, but the pair teamed up and began working on voice transmission. By 1976 they had secured backing, patented the idea, and developed the device. The first call over wires came in 1876 by mistake, and Bell began to promote the telephone. By 1877 he’d formed his own telephone company. After fighting off court cases and challenges over the next 20 years, he created and cemented an institution in the USA. Despite his huge success, he was never really a businessman, and, by the 1800s he had handed control of the business over to his wife. By 1880 he had created a laboratory dedicated to scientific research and discovery. And, by 1890 he continued working with deaf people and teaching them speech. There were numerous projects he worked on in the later years of his life, and. But the time he passed away at the age of 75, Bell had changed the world. Alexander Graham Bell is a name we all recognize, and for good reason. His works have been influential, and, his work with the development of the telephone has had a lasting impact on the developed world. Where would we be day if we didn’t have the telephone to guide us and help us? We don’t know, but we shudder to think!